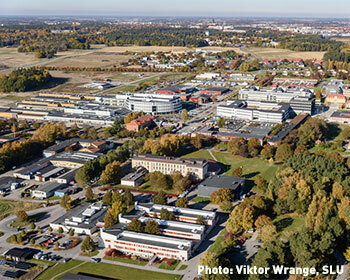 SLU’s Uppsala campus is located in Ultuna, about 6 km outside the city centre. Uppsala is known as a city of bicycles. Cycling is the most popular mode of transportation for students, and it takes between 20 – 35 minutes to bike from town out to SLU. 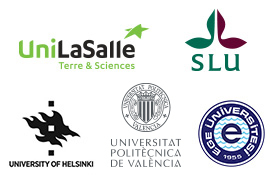 Uppsala is Sweden’s forth largest city, and the hub of SLU’s educational activities. Located just outside of the city centre, SLU’s Uppsala campus is spacious, leafy and picturesque. It is a fitting setting for Sweden’s only agricultural university, and possibly the most research-intensive of all universities in Sweden. 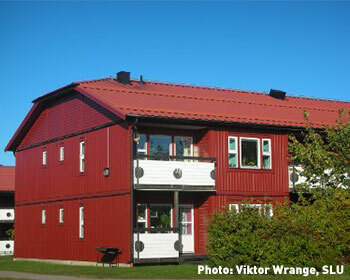 With two universities located in Uppsala, students can enjoy a lively, dynamic and stimulating atmosphere. Ultuna is an ideal area for sporting activities, with football pitches, a beach volleyball course, frisbee golf course, jogging and bicycle paths and a Friskis & Svettis gym on campus. Students are also welcome to visit all the other gyms in Uppsala, there are several to choose between. The SLU campus in Uppsala is situated approximately five kilometers south of downtown Uppsala. It takes approximately 15 minutes to bike from downtown Uppsala to the Ultuna area. It is a lack of student housing in Uppsala, but accommodation is guaranteed for all students accepted to the emPLANT master’s program. You will get an accommodation offer by email. SLU will send you an offer around 1 July. We have four different locations. All accommodations have a private furnished bedroom and electricity. When you pick up the key you will get an invoice to pay the first rent. Flogsta: Private bathroom, shared kitchen. Cheapest and furthest away from campus. Kronåsen: Private bathroom, shared kitchen. On campus. Internet not included in the rent. Allow pets in most rooms. Lilla Sunnersta: Private bathroom, private kitchenette. Close to campus far from city center, internet not included in the rent. Rackarberget: Shared bathroom, shared kitchen. Close to town center, internet included in the rent. The most popular place to stay.